There’s so much confusion out there surrounding which sweeteners are “good” and which are “bad” so I decided to write this post about some of the best and some of the worst sweeteners out there. What’s important to note with sweeteners is, just because they may not have a glycemic index doesn’t necessarily mean they’re a good choice. Food is not created equal and it’s important to remember that food acts as information in the body telling us which genes to turn on or off, telling our gut bacteria how to behave, and so much more. Because of this, artificial sweeteners have been shown to produce some seriously troubling affects in the body, and even the sweetener stevia is one that I avoid for it’s potential to act like an artificial sweetener in our body. Below I list out 3 sweeteners I avoid, 2 I use in moderation and 1 of the best out there in terms of nutritional value. I actually go into detail about 9 sweeteners (including the below mentioned ones) in my Balanced Blood Sugar Plan, breaking down brown rice syrup, agave and date sugar as well. Research has shown that artificial sweeteners such as splenda, aspartame, saccharin, sucralose and so on, negatively change the bacteria in our gut, which can lead to food cravings and all kinds of issues with our health and hormones. In fact, artificial sweeteners have actually been linked to weight gain as well as neurological issues including depression and learning disorders. You should absolutely steer clear of artificial sweeteners at all costs (above and beyond any other sweeteners in my opinion). Don’t let their “no glycemic index” fool you! They may have no GI but they’re doing nothing good (and likely a lot of bad!) for your health. 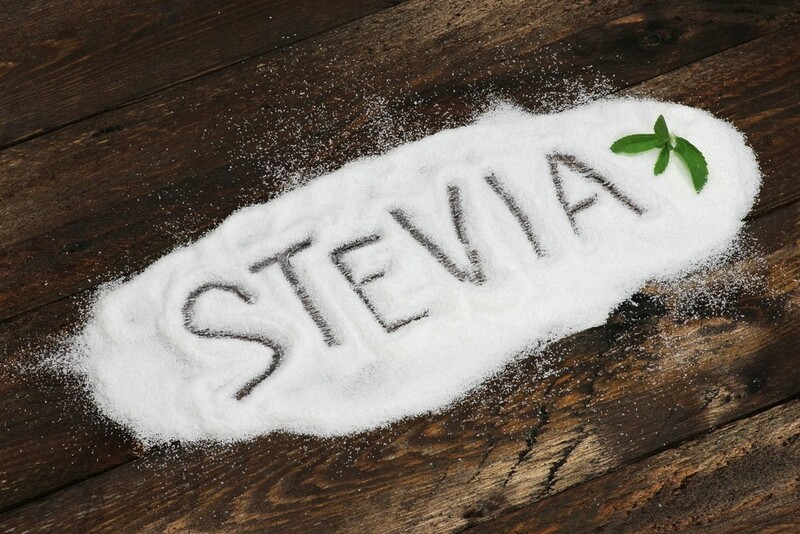 Compounds in stevia have been shown to potentially act as mutagens. Additionally, these compounds have a hormone-like structure, which can mess with our own body’s internal communication system. What’s more, stevia has been used as an anti-fertility agent, and its contraceptive effects have been seen in both males as well as in females. As if that weren’t enough, it’s another one of these tricky “no glycemic index” sweeteners that I don’t suggest my clients use. Coconut sugar has been revered due to marketing suggesting it has a low glycemic index of about 35. However, the study that produced this result only looked at 10 people (a very small study, not really worthy of basing a decision off). Another study showed coconut sugar to actually have a glycemic index of 54. So who’s to know?! Regardless, if it does have a low glycemic index this is likely because coconut sugar is 38 – 48% fructose. Fructose doesn’t spike blood sugar levels because the body can’t immediately use it for energy. Instead, when you eat fructose it goes directly to your liver where the body tries to metabolize it into a useful form. Fructose doesn’t raise blood sugar or insulin in the short term, but long term it can lead to insulin resistance. Bottom line is that fructose in high concentrations like this is damaging to the liver, is inflammatory and can lead to obesity, diabetes and metabolic syndrome. I love maple syrup. In fact, it’s my favourite sweetener. You still have to be careful when consuming maple syrup however, just like you do with all “healthier” sweetener options. The reason I love it (beyond the delicious taste) is because maple syrup contains small amounts of minerals and impressive amounts of antioxidants. It has a moderate glycemic index and one study suggested it may be beneficial as a phytomedicine in the treatment of colon cancer! Darker maple syrup has more sugar in it, but you have to use less to get the same flavour. The darker maple syrup also has more nutrients per tablespoon, so it’s the one I like to use in my baking. Honey has been shown to reduce inflammation levels, lower homocysteine (a marker for cardiovascular disease), reduce LDL (“bad”) cholesterol, reduce blood triglycerides, raise HDL (“good”) cholesterol, has an abundance of antioxidants and may inhibit the growth of candida. It does contain significant amounts of fructose (about 38%) but I’m okay with this considering it’s myriad of benefits. Darker honey is generally better than lighter honey and I recommend raw or Manuka honey. Honey is a good option as a sweetener and has a lower glycemic index than maple syrup and blackstrap molasses. Blackstrap molasses contains a load of healthful nutrients including iron, calcium, copper, manganese, magnesium, potassium, B vitamins, selenium and more, making it one of the best healthier sweeteners out there. It actually contains over 5 times the amount of iron than steak does and 1.5 times as much calcium than cheese (per calorie). It has a moderate glycemic index so you still have to use it with caution, but it’s likely one of the healthiest natural sugars around. Be sure to look for unsulphured blackstrap molasses, which means the molasses has been processed without the use of sulfur dioxide. I use unsulphured blackstrap molasses in my Melt-In-Your-Mouth Healthier Gluten-Free Gingerbread Cookies. Yacon syrup is extracted from the roots of the Yacon plant, which resembles a sweet potato. The final product is a sweet-tasting syrup – kinda the consistency between maple syrup and molasses. Yacon syrup is one of the best dietary sources of fructooligosaccharides (FOS). FOS sugars can stimulate taste buds but humans can’t digest them and hence a large part of yacon syrup isn’t digested. This means it has only a third of the caloric value of sugar, about 133 calories per 100 grams, or 20 calories per tablespoon. FOS is very beneficial for gut health as it feeds the good bacteria. When the bacteria in your gut digest FOS they produce short-chain fatty acids that have powerful anti-obesity effects, (at least in rats). There is also some evidence that FOS can lower the hunger hormone ghrelin, helping to reduce appetite. In one double-blind, placebo-controlled clinical trial of which participants were 55 obese women with cholesterol problems and a history of constipation, these women were split into two groups: 40 took yacon syrup while 15 took another type of syrup with no active ingredients (placebo). All of them were advised to eat a low-fat diet and mildly restrict calories. The study went on for 120 days, about 4 months. The women in the yacon syrup group lost 3.9 inches, or 10cm off of their waist. No significant change in the placebo group. So if weight loss is your goal but you’re desperate for a healthier sweet treat, I would suggest you give yacon syrup a try. Remember, if you want to find out about more sweetener options or if you want to balance your blood sugar in order to be more energetic, reduce your anxiety, eliminate your PMS and more then check out my Balanced Blood Sugar Mama plan for more information.